Festival season is well and truly underway (and coming to a close soon! ), but not all of us can afford to splash out on tickets to the ones we want. Throwing your own mini festival is a great idea for a birthday party or celebration. 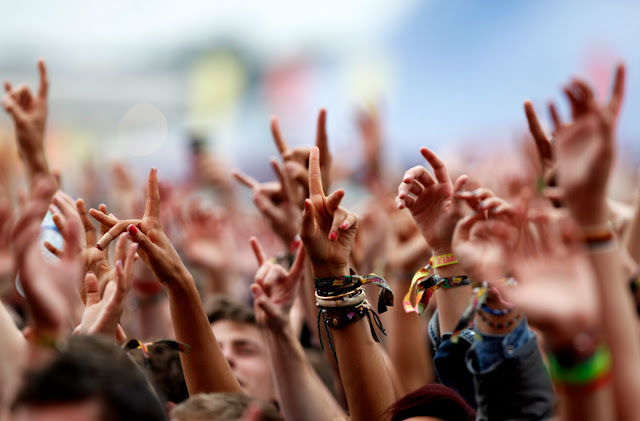 Here are a few tips on creating your own little festival! If you have enough garden space, it's a good idea to throw your mini festival in your own back garden. This way you won't have to pay anything and there's no curfew on music. 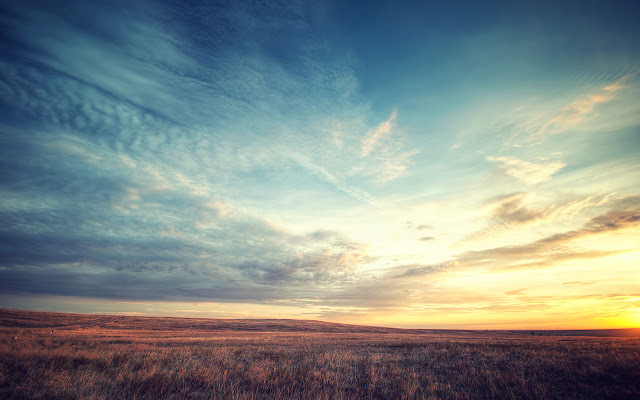 If you don't have enough room, however, look up local relaxed campsites or fields where it would be ok to camp for a couple of days. 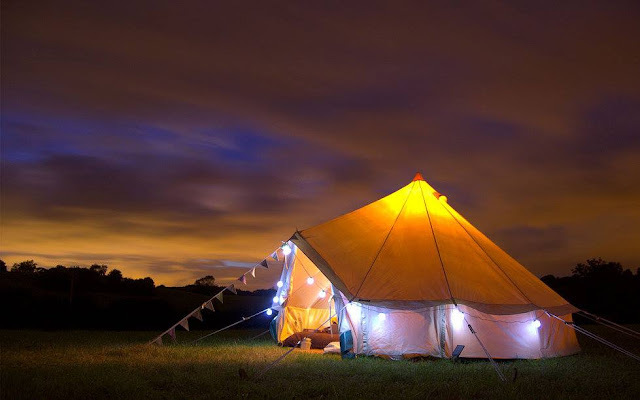 Get all of your guests to bring their own tents to sleep in, however it's a good idea to hire a bell tent for your little event too. They're big, spacious and can be decorated beautifully. They're perfect for when it gets a little bit chiller outside and lots of people can chill out in them at the same time - just stuff them with pillows, drapes and anything else comfy! You could even set up a little table in the corner that is equipped with glitter and face paint so people can stop off in there to get into the festival spirit. For your mini festival you're going to want some good speakers and a few different genres of music. You could have one half of your garden dedicated to one genre, and the other half dedicated to another. Just make sure you have some good speakers and a never-ending playlist! A selection of lights will make a big difference to your mini festival. Fairy lights and lanterns are perfect for decorating your garden. 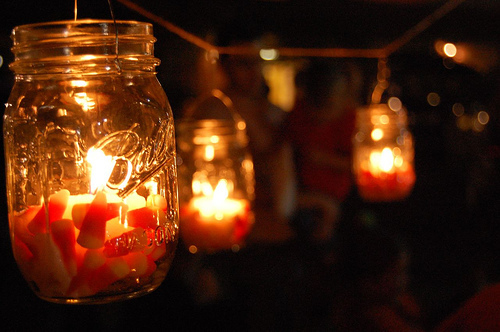 Put tea lights into clear glass jars and dangle them from trees, or light up little paths with lanterns that you can stick in the ground. As it grows darker, the lights will really stand out so make sure you have plenty of them dotted around. Have fun designing your own wristbands for your mini festival with welovewristbands.com! There's lots of different ones to choose from - woven, silicone, vinyl - and the design options are endless. Opt for bright and colourful ones and make sure every guest is wearing one. They will also make lovely keepsakes to remember your festival by. 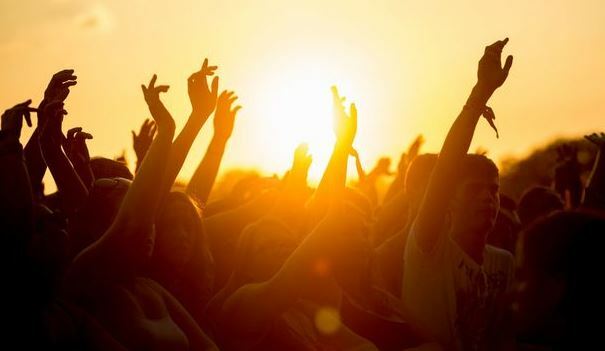 Have you ever thrown your own festival? I love this idea. If I can't go to the festival, it can come to me. Oh that would be so much fun. I like your ideas! We'd definitely have to go all out with the lights. We wanted to do this for our wedding, but we went a different route instead. I love this idea. My old back garden would be great for a mini festival. What a fun idea! I think my daughters would love to do this with their friends - I will be suggesting it! Oh my god, I LOVE this idea so much! love this idea, it sounds like so much fun!! What a greay post... never really thought of doing this! I'd love this, such a great idea for a mini back garden party! I'd love to arrange something like this for next summer! Wow this sounds like a supper great Idea and would be so much fun for me and my friends! This sounds like great fun although I'd have to invite the neighbours or they wouldn't be impressed.